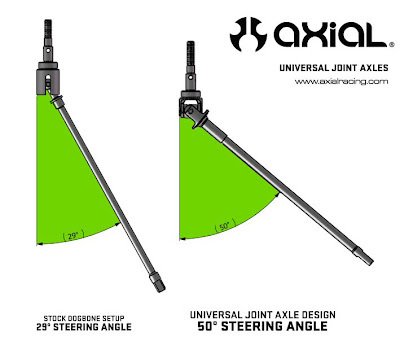 Axial has release the universal axle set (AX30780) for the Axial Wraith RTR. The RTR Wraith came with dogbone drive shafts for the front axles, which limits the amount of steering. 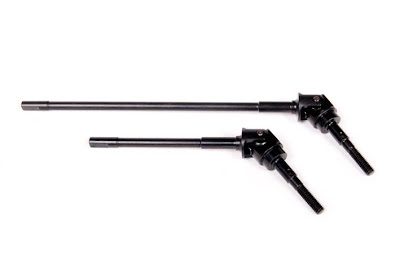 The universal axle increases the steering angle on the Wraith.